It’s always great when you can get industry veterans together for a chat… and in Episode 10 we get a chance to visit with an experienced writer, editor and thought-leader in Sal Alfano. After almost 40 years in the business, Sal’s insights into what he hears from remodelers and home builders across the country, coupled with his own experience as a remodeling client himself makes for an outstanding episode. Sal Alfano spent 20 years as a carpenter, remodeling contractor, and custom home builder in central Vermont. He joined the staff of JLC in 1991, where he was named editor-in-chief in 1994. From 2001 to 2014, Sal served as editorial director for numerous industry trade magazines and websites, including JLC, Remodeling, Replacement Contractor, Coastal Contractor, Professional Deck Builder, and Upscale Remodeling. Currently, he is executive editor for Professional Remodeler and ProTradeCraft.com. Sal and his wife, Elaine, live in Montpelier, Vermont. Tim, Steve and Sal really dive into changes that they have all watched over the past several years; specifically how clients view the industry and their expectations on pricing, communication and transparency of the process. Importance of quality craftsmanship, communication (internal & external), etc. Project efficiency and planning, sequences, etc. Super Early Bird Registration for the 2018 Production Conference Closes June 15! Save $200 By Registering Today! 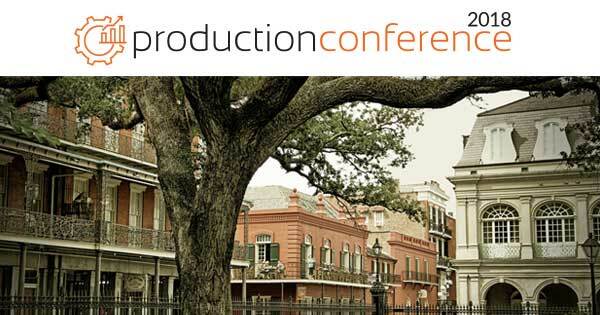 After an amazing turnout last year (more than 100 attendees) we are excited to host the 2nd Annual Production Conference, held alongside the 2018 Remodelers Summit in beautiful New Orleans, coming up in September. Register Today!